I grew up on my grandparents’ ranch in eastern Oregon, serious cattle country and home to Basque sheepherders, until spring 1954 when my parents moved our young family to an even larger cattle ranch in northwest Wyoming–the setting for my debut novel, Hardpan, published by Westerly Directions Press in 2015, and my upcoming middle-grade children’s book, The Clark Valley Chronicles. Based on reader feedback for Hardpan, I’m working on a sequel, Jo, featuring one of the main characters from the novel, Jo Glover. Upcoming publications in 2019 include a personal essay, “Second Chance,” to be issued in April by the Round Table Literary Journal, and a small collection of haiku poems entitled “Nordic Impressions” in the 2019 Redwood Writers Poetry Anthology. Two short stories, “The Drop-off” and “The Invisible Delivery Man” appeared in the 2016 Redwood Writers Anthology, Untold Stories. My most recent short story, “Meeting at Midnight,” was published in the 2018 Redwood Writers Anthology, Redemption–Stories from the Edge. A literary travel article, “Sentimental Journey,” based on my Wyoming book tour in Summer 2016 was published online by Medium. I completed an outstanding course on middle grade fiction sponsored by the Children’s Book Academy (CBA) in Spring 2017. Shortly after, and again in 2018, I participated in the annual Summer Fishtrap, a gathering of writers in the spectacular Wallowa mountains of northeastern Oregon. Along with an MA in English from Cal State-East Bay, I have taken creative writing courses through UCLA’s Extension Program, and participated in the Napa Valley Writers’ Conference (NVWC) to learn more about the craft of writing. I was honored to be invited by the NVWC to participate as a First Books Panelist at their annual writer’s conference in July 2017. 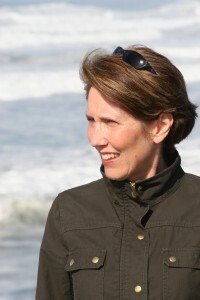 After ending my career in university administration in 2014, I moved from San Francisco to Sonoma County with my husband Bob and soon joined the Redwood Writers, a large and active branch of the California Writers Club based in Santa Rosa. I’m currently Vice President of the club, and co-chaired the biennial Pen to Published Writer’s Conference in April 2018. I’m also a member of the Society of Children’s Book Writers and Illustrators (SCBWI); and have benefited from membership in the Bay Area Independent Publishers Association (BAIPA) and the Left Coast Writers, hosted by Book Passage in Corte Madera. What a pleasant surprise! Yes, of course I remember you, though it’s been a long time! Wonderful to hear from you again, and that you’re in Washington, near Cindy. We left Colorado in 1995; like you, I wanted to be closer to family. Bob and I are doing well. We live in Sonoma County now. Maybe we can see you again sometime! Hope you enjoy reading my book. I’ll have hardcover and paperback versions in September! Marilyn: feel free to use my letter as needed. I haven’t done a review of children’s books before, but am willing to give it a try if you still need a review for your children’s novel. Where did you see my name on a list of reviewers (just curious!)? You left a copy of your book, “Hardpan” at Book Passage in Corte Madera for review. Unfortunately, your contact information has been lost. I would appreciate your giving me your email address so that I may communicate with you. I hope you’ve discovered my e-mail response to your message by now! Thanks for alerting me. I purchased Hardpan at the Sonoma County Fair and we spoke about living in houses built with square nails that were original Homestead homes. I read the book Sunday and Monday. You had me in the first paragraph! I can’t begin to tell you how many times I drove through Jordan Valley and stopped for gas and snacks. Such stunning beauty. The true name of a Basque family and the name Skinner made memories flow. I lived in Boise and at one time had a neighbor named Steve Skinner who was from a ranching family in JordanValley! I really enjoyed the story and believe it is ideal for Middle School through 109. A belated thanks, Joanne. I left for my big trip to Scandinavia shortly after the Sonoma County Fair ended and somehow missed your very thoughtful comments until reviewing everything this new year! So sorry! I’m so pleased that you enjoyed Hardpan and that you think it’s ideal for Middle Grades, etc. I’m fascinated by your connections to Jordan Valley and Boise. Many years ago, my first cousin, Steve Skinner, and his wife lived in the Rock House that my family lived in during my early childhood. Steve’s mother, Virginia (my auntie Virge) was Basque; she married my dad’s brother, Gardner Skinner, and they had 5 sons & one daughter. Both my aunt and uncle are deceased, and Steve (as well as several of his siblings) has lived in Boise for many years! My dad, Jim Skinner and his three siblings–Tom (“Tuck”), Gardner, and Rae grew up on the Skinner ranch in JV in the 1920s and 1930s. They lived with my grandparents, Tom & Violet Skinner, in the 2-story white ranch house next to the Rock House. By the way, several years ago, Steve and his brother Rick reconfigured the Rock House to create the coffee shop that you’ve undoubtedly visited during your stops in JV! I hope we can connect again sometime in the future–maybe at this year’s Sonoma County Fair or at Redwood Writers in Santa Rosa!